He’s mad as a hatter and wicked as a cat. The rabbit’s pocket watch is ticking, the queen is getting fat. of the caterpillar’s bestest hash – it lives up to the hype. The Cards have fallen over trying to win dear Alice’s hand. As for ol’ Chuck Dodgson, we’ll take his anthropomorphized land. I like this shirt and photo. 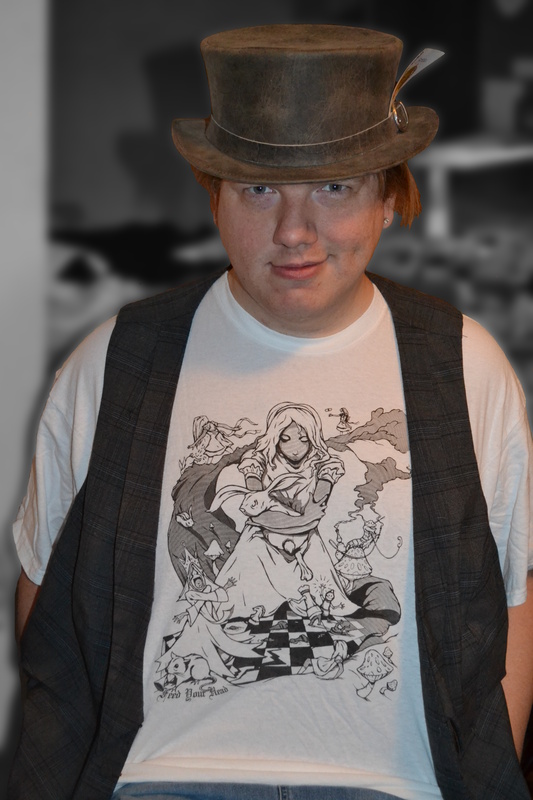 The shirt appeals to me because of chess and Alice in Wonderland. It also has a very dark sensibility while being bright. I do that every year, make sure you come by and see me at this year’s artists hall as well for the latest from my new project.